I was pretty happy with how the shelves came out! The only point of dissatisfaction I had with the build was the price - it was driven up considerably since I was using Simpson Strong Ties for the joints. 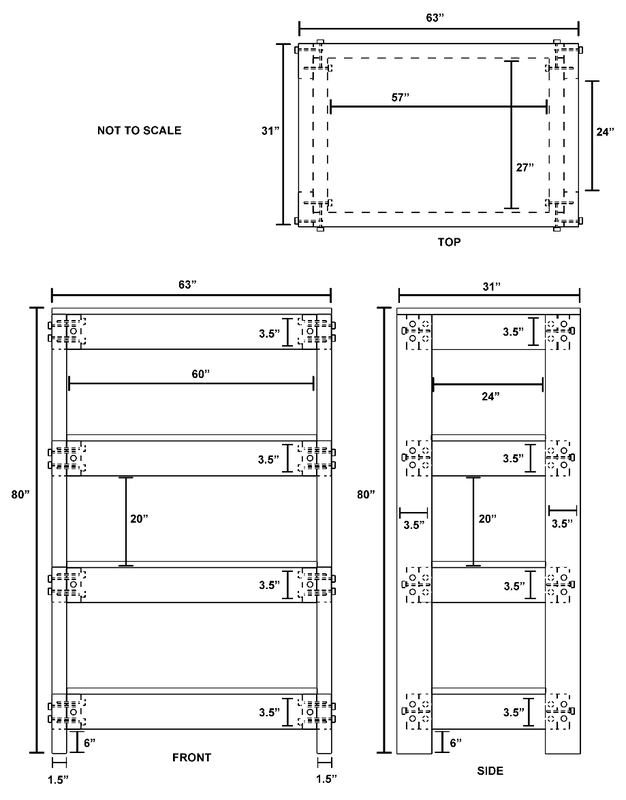 So, I decided to revise the plans and make a second set of shelves using only lumber and lag bolts. The new plans have the exact same dimensions but have slightly different positioning of the crossbeams. I designed everything to make it very easy to assemble. 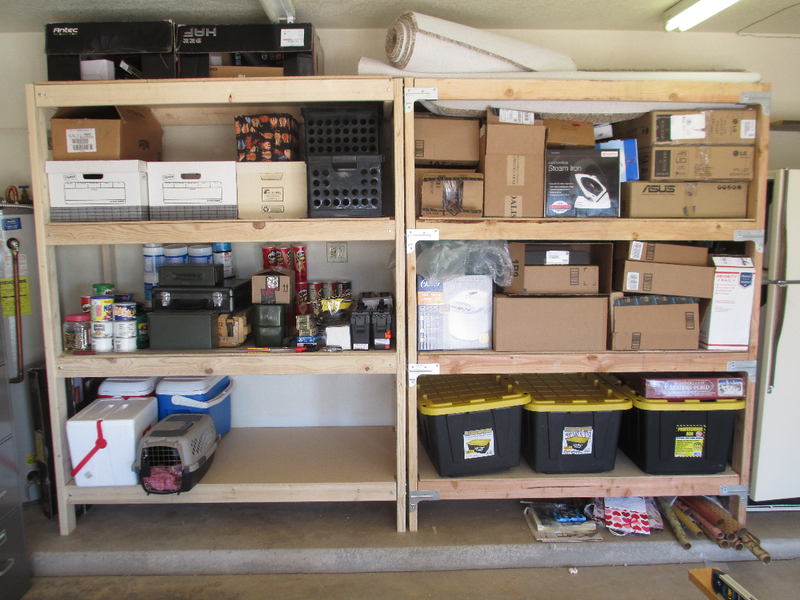 After finalizing the plans and purchasing the materials, I built the new set of shelves over the course of a single day. Comparison of the new shelf and the old one - as you can see they're exactly the same size. I purchased this all from Home Depot for a total cost of around $100. If you want to build these same shelves, the plans are below. I've included the screws as part of the plans. Have fun! 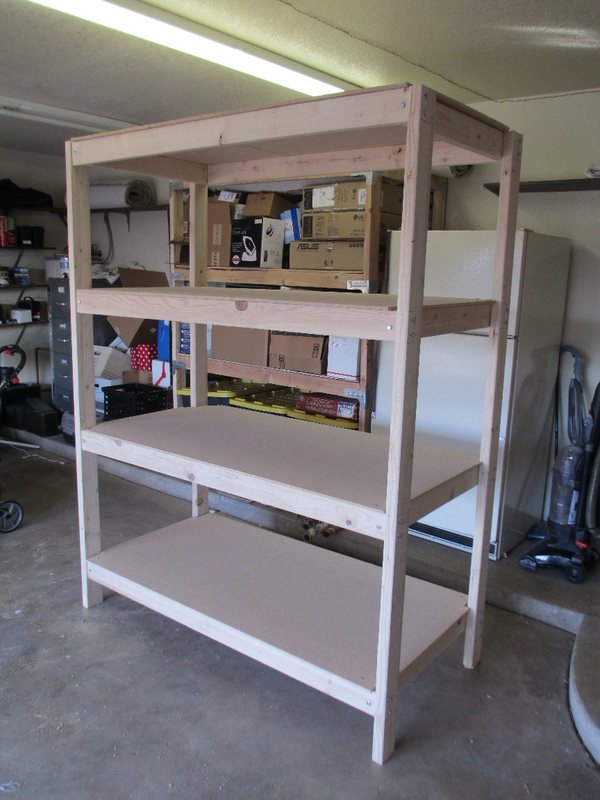 I'm currently working on a set of bookshelves which I will post about upon completion.